Fremont Auto Center is your one-stop destination for Fremont Chrysler service and repairs. 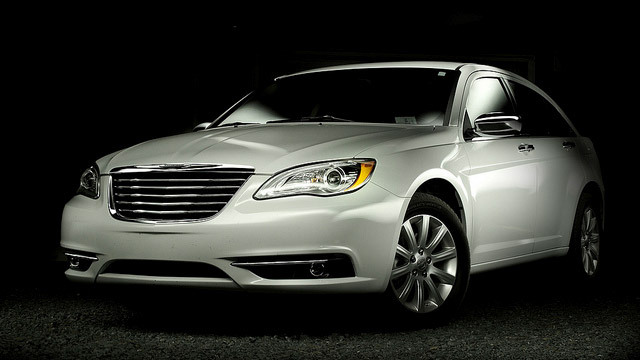 We provide Chrysler service and repair exceeding dealer service and quality. We are a true dealer alternative. Whether you drive PT Cruiser, the economical Chrysler 200, or sophisticated Town & Country, our ASE certified technicians can provide your vehicle with everything it needs – from routine maintenance to advanced diagnostics and repairs. We have latest training and sophisticated, stat-of-the-art diagnostic equipment, and they allow us to diagnose and fix even the most intractable problems. Bringing your vehicle to Fremont Auto Center for regular service protects your factory warranty. When you bring your vehicle to us, we follow factory recommended service schedule for your Chrysler year and model, and we include a complimentary inspection every time as well. Our Fremont auto repair shop can work on any Chrysler - whether your Town & Country needs new brakes due to premature brake wear, or you need new Sebring water pump, or perhaps your Chrysler 200 has transmission problems, bring your car to us. Grand Voyager or Chrysler 300 – you can bring your vehicle to us, knowing that our ASE mechanics will treat your car as if it were our own. Being a full service shop, we, naturally, offer 30,000 mile, 60,000 mile and 90,000 mile service, routine maintenance like brake pad replacement, AC repair, coolant leak repair, oil leak repair, water pump replacement, electrical system diagnostic or sensor replacement, to name just a few. And if “check engine” light is on, we can diagnose the problem, find its root cause, and present you with repair options, so you can make a decision that fits your schedule and budget. Chrysler 200, Chrysler 200c, Pacifica, Chrysler 300, Chrysler 300c, Chrysler 300M, Concorde, Aspen, Cirrus, Crossfire, Intrepid, Chrysler LeBaron, PT Cruiser, Chrysler Sebring, Town & Country, Chrysler Voyager, and Chrysler Grand Voyager. Schedule an appointment online, or call today.